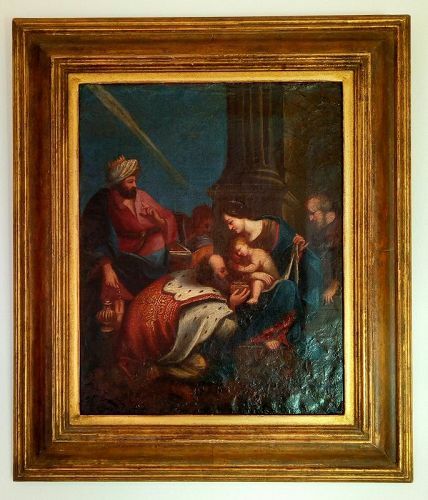 A fine original 18th Century Venetian Oil Painting depicting the Birth of Jesus, Maria, Joseph and the 3 Magi bearing gifts, framed. Artist unknown. Size 40 x 30 cm. Condition good considering age. Rare collector's item.